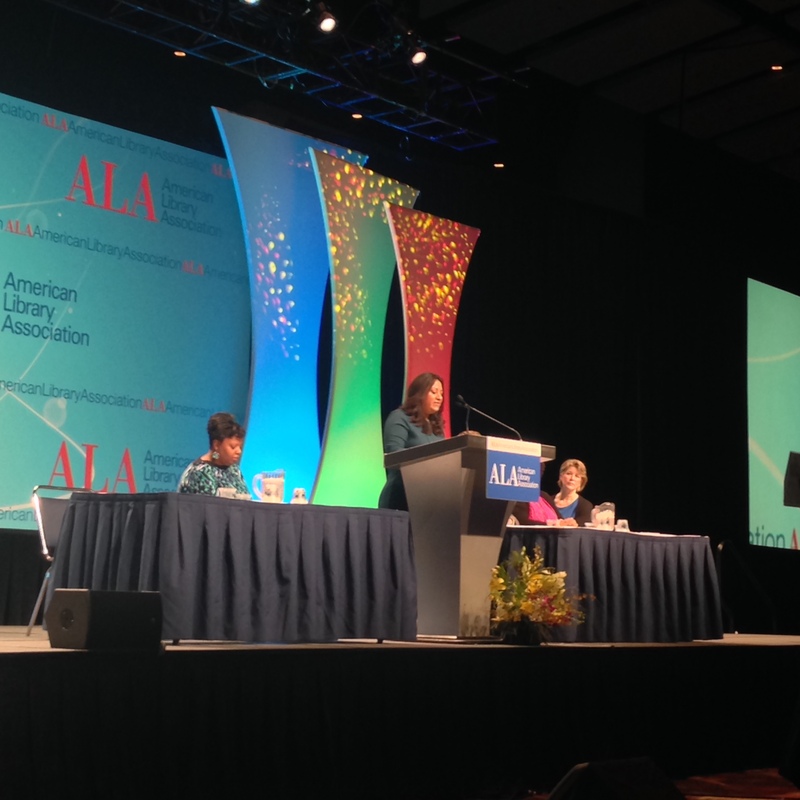 Several days ago, I had the opportunity to attend the 2015 American Library Association (ALA) Midwinter Meeting & Exhibits Conference (#alamw15), held in Chicago. My main reasons for attending the conference were to meet with my dissertation committee, attend REFORMA (The National Association to Promote Library & Information Services to Latinos and the Spanish Speaking) meetings and discuss and collaborate with fellow Reformistas about ongoing projects and events. 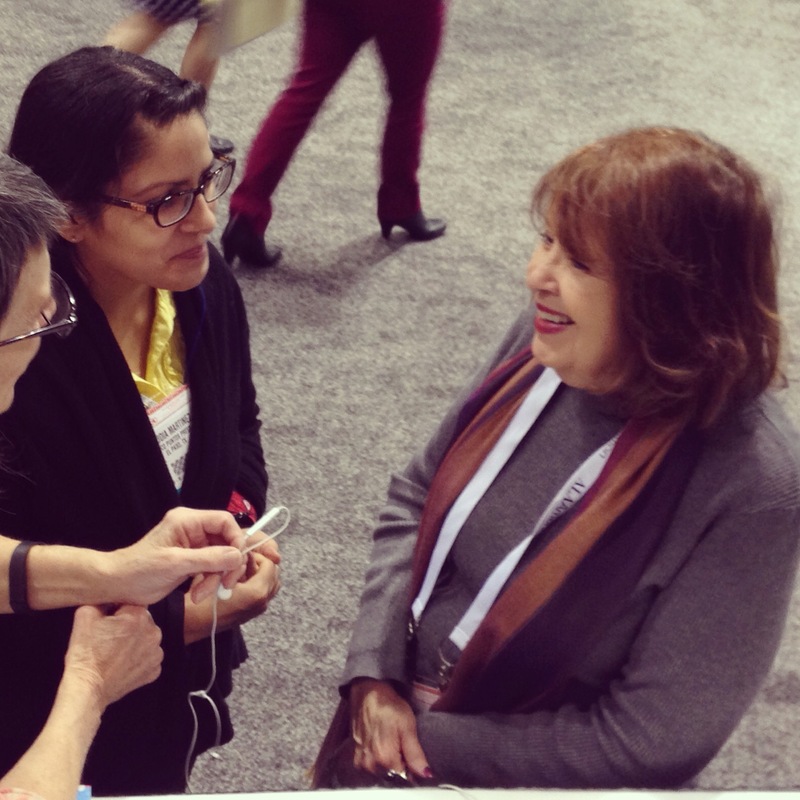 My presence in Chicago and #alamw15 also drove me to participate in and attend events and engage in conversations with fellow bloggers, librarians, educators, authors, publishers, and supporters of children’s and young-adult literature. In this post I want to share with you about the sessions and events that I took part in and some reflections on my overall experience at the conference. On Friday, January 30, 2015, the Association for Library Service to Children (ALSC), along with the Children’s Book Council (CBC) hosted Day of Diversity: Dialogue and Action in Children’s Literature and Library Programming. I was not able to attend because this was an invitation-only event, but I followed the conversation through tweets, then afterward in blog posts reflecting on that day. The purpose of the event was to “discuss strategies for ensuring that all children have access to diverse literature and library programming.” Although great remarks were given by the keynote speaker, former ALA and REFORMA president Dr. Camila Alire; Día founder, author, and storyteller Pat Mora; former ALA Offices for Literacy & Outreach Services Director Satia Orange; and Native authors and authors of color, the overall impression was that it felt like a Diversity 101 event. Based on social media commentaries and subsequent talks, the event lacked real discussions about systemic problems, White privilege and anti-racist approaches to children’s literature. These conversations are long overdue in children’s librarianship and the publishing industry, and it is a pity that events where these conversations should happen do not embrace that challenge. Great recaps and reflections were posted by Debbie Reese, Edith Campbell, Zetta Elliott, Sarah Park, Don Tate, Maya Christina Gonzalez and Jason Low. The REFORMA meetings and events were a great experience to get to know fellow Latino/a and Chicano/a librarians, educators and authors, immerse myself in committee work and projects, and finally meet people whose work I have admired for years. These gatherings were among the most welcoming spaces I’ve attended in my professional career in the United States. They also are dealing with serious issues regarding not only Latino populations in the United States, but Latin American immigrants as well. On Saturday night, REFORMA celebrated its traditional Noche de Cuentos, an evening filled with stories, people, and warmth. 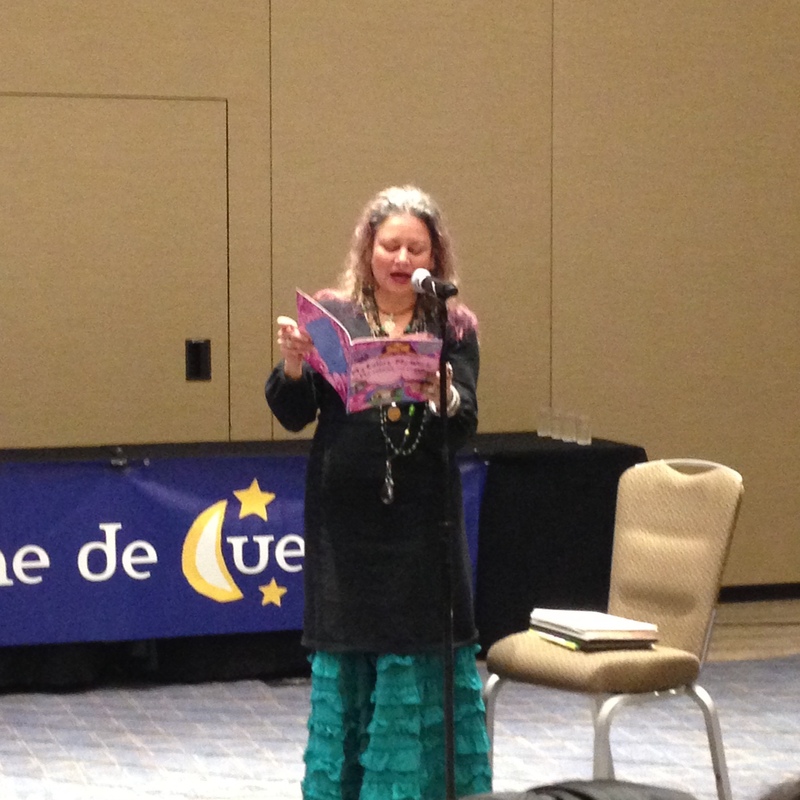 The night was enlivened by author, storyteller, and librarian Lucía González, and Latino children’s literature and literacy consultant Oralia Garza de Cortés. 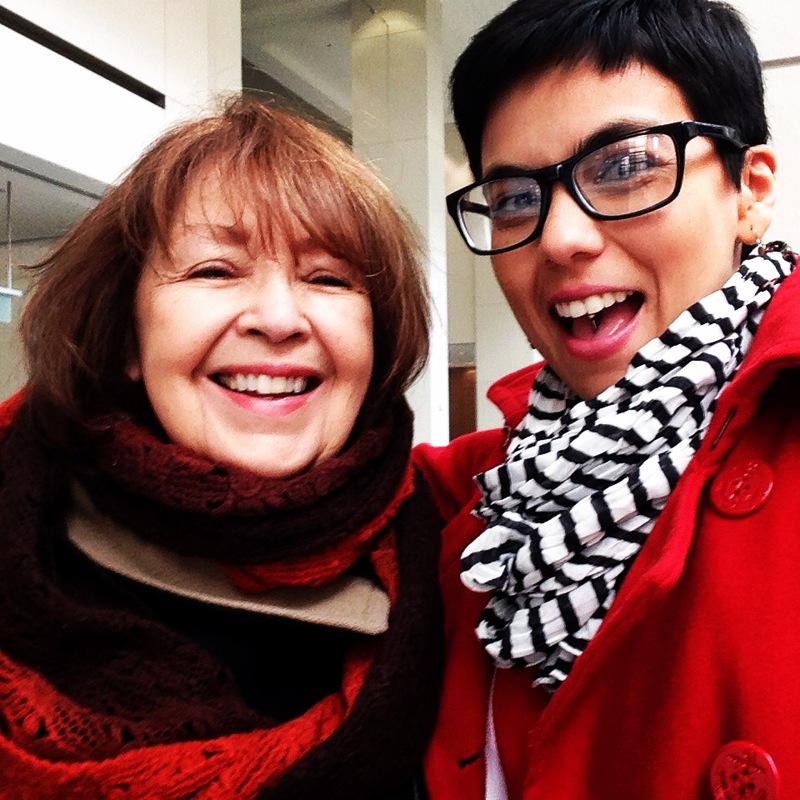 Both women have been great supporters of Latino children’s literature for decades and contributed immensely to diversity in children’s librarianship. Lucía is also the author of the bilingual picture book The Storyteller’s Candle, about the life and impact of Pura Belpré’s work in New York, its Puerto Rican community in 1920’s-30s, and bilingual children’s librarianship. Oralia is the co-founder of the Pura Belpré Award, named after the Puerto Rican author, folklorist, and first Latina librarian of the New York Public Library. In “Noche de Cuentos” they both showcased their talent for sincere and engrossing storytelling. It was proof of how important preserving and telling our stories are. “That’s how stories get around, you tell them,” said Lucía, after finishing the tale of Blanquita and Her Wild Ducks, giving us a powerful reminder of how the voices that are constantly silenced, marginalized, and misrepresented will always find ways to amplify and give strength to their communities through storytelling. This was affirmed many times during the night: Pat Mora read poems and brought us charm and joy, and Maya Christina González read her picture books and told us that “kids need to know we are part of nature, and we belong here.” More emphasis on the power of our stories came when Jasmin Cardenas, a local storyteller, told us that “if we tell stories, this would be a better place.” Claudia Guadalupe Martinez shared the importance of community building, as portrayed in her YA novel, Pig Park. With its focus on stories, people, marginalized voices, powerful voices, and community support for each other, Noche de Cuentos was a much-needed intergenerational event. The closing presentation of the Ignite Session was Edith’s “The Kids Are Not All White.” She started out by giving numbers and percentages demonstrating how children’s literature is not representative of our children’s population. She leaned toward a reflection and call to action to truly make efforts to be inclusive in our libraries. She challenged the view that diverse books are only for kids of color, and the status quo in books that shows us “who we were, but not who we can be.” Edith addressed language diversity, too, calling on us to include titles written in other languages in our collections, and titles that intersect income, gender, and race. She also emphasized the need to rethink views about self-publishing and technology, and how they are fertile spaces for those who are traditionally marginalized. 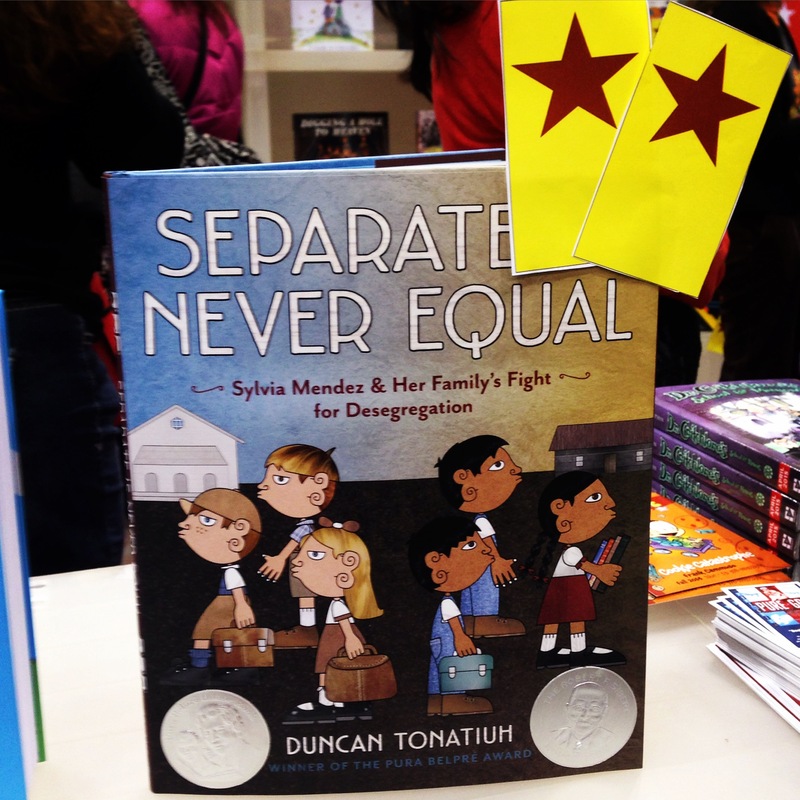 Both presentations fit well within the different conversations about diversity and children’s literature that were happening at #alamw15. 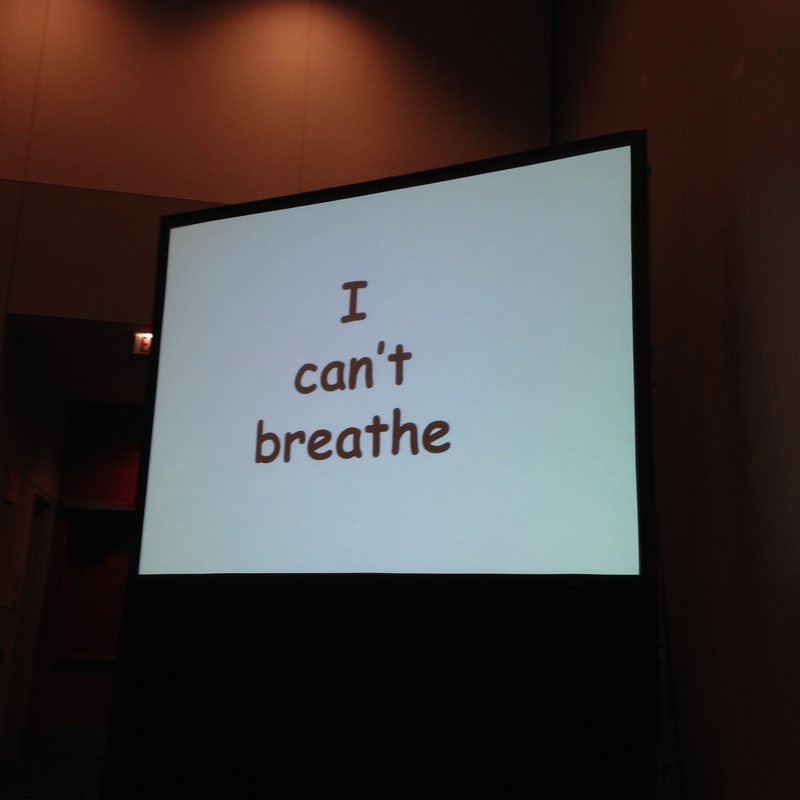 Because it was an Ignite session with a broad audience, they were “preaching” outside the usual crowd, to an audience that included academic and adult services librarians that may not have otherwise been aware of the attention being given to White privilege and diversity in publishing around the #kidlit world. As people were applauding and celebrating the diversity of winning titles, I was thinking how great it was to see those book covers on that big screen, and how those that had overlooked them during the year were now finally going to at least read about them and maybe even bring them to their libraries and classrooms. You see, the fact is that we’ve always been publishing great award-worthy titles, but they are continually neglected by the children’s literature world. While people were applauding, I was thinking about recent comments I’d heard that Brown Girl Dreaming shouldn’t win the Newbery, since she had already won the National Book Award. I wondered if similar things were said when a White author’s book had won the National Book Award. This, along with other observations and conversations, led me to question the celebratory spirit around me. Was the applause like that scene from The Boondocks’ “Garden Party” episode, where everything Huey says White people around him seem obligated to applaud and praise? As I sat in the room, I heard some audience members complaining about the use of Spanish during the Pura Belpré Awards, an award that celebrates Latino children’s literature and is co-sponsored by REFORMA. As the morning unfolded, I watched the almost all-White committee members stand up, some wearing “Trust the Process” t-shirts. Toward the end of the awards, someone said that apparently there were finally good diverse titles this year, since they won awards. The implication was that the lack of award-winning diverse titles in years past was an indication that Latinos, Asians, Native, and Black people had never published GREAT books throughout those years. When I finally exited the room, I approached Pat Mora (walking away by herself) to congratulate her for her work and her Mary Hill Arbuthnot Honor Lecture Award. While talking to her, I was surprised and angry that no other person approached her to congratulate her. This woman has been an influential force in children’s literature, and she had just won an award recognizing her marvelous work. That work includes being the founder of Día, an official annual celebration that has been sponsored and championed by ALA. I realized that most people there had no idea who she was. The same people that were applauding inside the room as her picture was displayed on the big screen, as soon as her award was announced? The same people that sometimes state their “concern” of how we need to bring more authors, illustrators, and librarians of color to these events and into our field? I introduced myself to her (in Spanish), and as we started talking, the first thing she said to me was: “Nada ha cambiado” (Nothing has changed). Words that stayed in my mind as I reflected upon my experience walking through the exhibit halls. Despite that conversation (and it was only one of many), I can say that I found several Latino children’s books, but in a low percentage compared to books by White people, about White people, and bears. Was I able to find a couple of Latino/a books, because I was looking for them? Because I recognize and know the titles, covers, authors and illustrators? Could people who had no idea Latino/a writers and illustrators exist, see their books? Were they displayed in a way such that people who don’t know about them could see, browse, and then buy them? Another thing that caught my attention was that indie presses that publish stories by Native authors and authors of color were not packed with people. At their book signings, there were no lines of people waiting to meet the authors. This called to mind René Saldaña’s post: Forgive Me My Bluntness: I’m a Writer of Color and I’m Right Here In Front of You: I’m the One Sitting Alone at the Table. I was honored to meet Erika T. Wurth, author of Crazy Horse’s Girlfriend (Debbie Reese’s review); Isabel Quintero, author of Gabi, a Girl in Pieces (our review by Sonia Alejandra Rodriguez); J.L. Powers, author of Colors of the Wind: The Story of Blind Artist and Champion Runner George Mendoza; and Lee Byrd, co-founder of Cinco Puntos Press. Wurth, Quintero, Powers, and Byrd are among the many people with whom I had great conversations. I am among a growing number of people who support their work. In my many interactions and conversations, we laid out common ground and talked about how White privilege and institutionalized racism in children’s literature and publishing have always been a systemic issue. Privilege and power go across the publishing industry, book reviewing, librarianship, education, and media. We need more than diverse books. 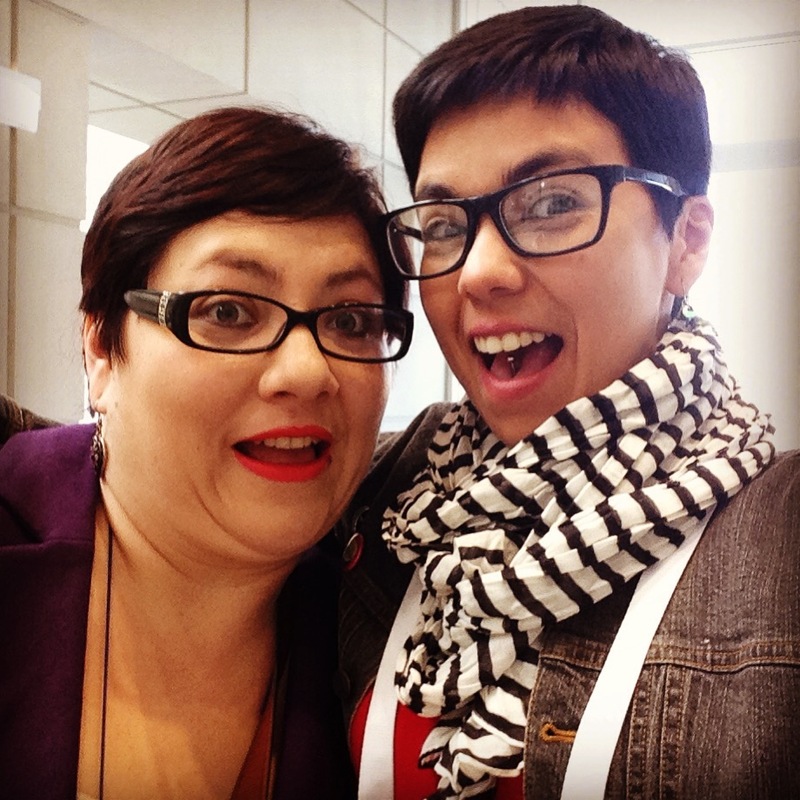 We need opportunities at places like library conferences to create awareness about privilege and power. In our work as bloggers, we must review and promote books by writers who are of marginalized populations. We must point to their accurate reflections of those populations. But we must also call out stereotypical and racist content in children’s books overall, and we must name White privilege when we see it. Yep, there’s a hell of a lot to do. Pan Dulce: Lee Byrd from Cinco Puntos Press interviews Claudia Guadalupe Martinez (author of PIG PARK) and Pat Mora (author of CANTA, CHICO BRAVO, CANTA) talking about their books, growing up in El Paso, Texas. 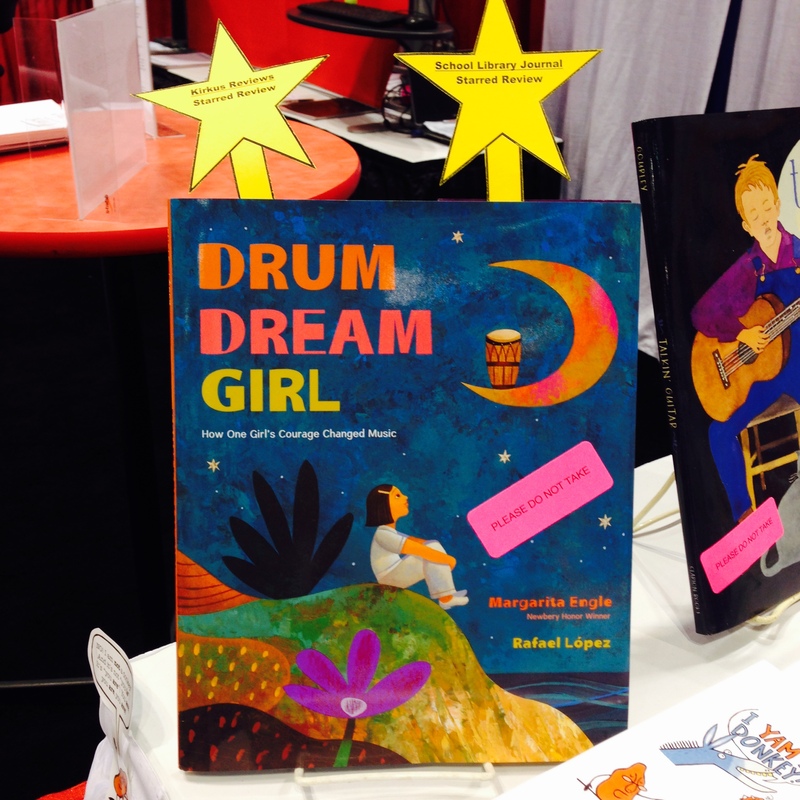 The upcoming major event for REFORMA and Latino children’s literature is the Pura Belpré Award 20th Anniversary Celebración that’s going to be held in Orlando, Florida at the 2016 ALA Annual Conference. I attended the Task Force meeting; there are great plans ahead to celebrate past award winners and honorees, and a wide selection of Latino children’s books as well. More information to come! Check out how you can help and support this gran celebración. With Pat Mora. Such an honor to finally meet her. We have to keep pushing. I think the ball may be getting near the top of the hill. Absolutely. But sometimes it feels that the hill is getting higher and higher. Thanks! Glad to know about the great work you are doing at your library and with/for your students. Yes, it would be nice to connect with you. You can contact me on Twitter @sujeilugo or you can send a message to Latin@s In Kid Lit Facebook and I’ll share my email there. Thank you for the enlightening observations, there is a lot of work to be done for sure and it is a shame that the fine work that is being done now is so marginalized . Thanks! Those we observations that I thought needed to be shared. Not everyone, especially Native and people of color, have the same experiences within these spaces. “Nada cambia” The words of Pat Mora should resonate and be our mantra for change. It is very health to hear critical voices from the new generation of Latino/a professional who are leading the push for change. “Nada Cambia” should change to “Todo cambia” as new librarians of color make in roads into the white dominated library profession. There is always the good talk about diversity but few do the hard work and there are few results. Thanks for your words, Luis. The conversation I had with Pat is still in my mind. There’s a lot of work to be done to achieve “Todo Cambia”, and librarians of color should not be the only ones carrying this burden. White allies need to do their job too. That doesn’t mean we are going to give up and we going to keep up with the hard work. Sujei, thank you so much for this honest account of ALA Midwinter. I read it twice, and will be thinking about what you have said here for a long time to come. Change comes so slowly, and sometimes not at all. Pat Mora is absolutely right. We need a revolution. Hi, KT! Thanks for your words and for sharing the post. Just thought that I needed to share my experiences, observations, and conversations. Yep, there’s a lot to do still. We are all in this together. Sujei, I’m the editor of SHADOWSHAPER (I came here via KT’s link on Twitter). If you didn’t get a copy of the book, tweet me at @chavelaque with your address or e-mail me directly and I’d be glad to send you an ARC. Nada ha cambiado is right. Also, Sujei, I know you’re in LIS and not CHL, but now that they’re in the same building, make sure you introduce yourself to Cathie! She feels the same way about these events, and as director of CSCL and PhD in children’s literature and general awesome lady is a good ally to have.